Birman Cats and Kittens, pet to show quality, 26 Years and still cuddling Birman Babies. 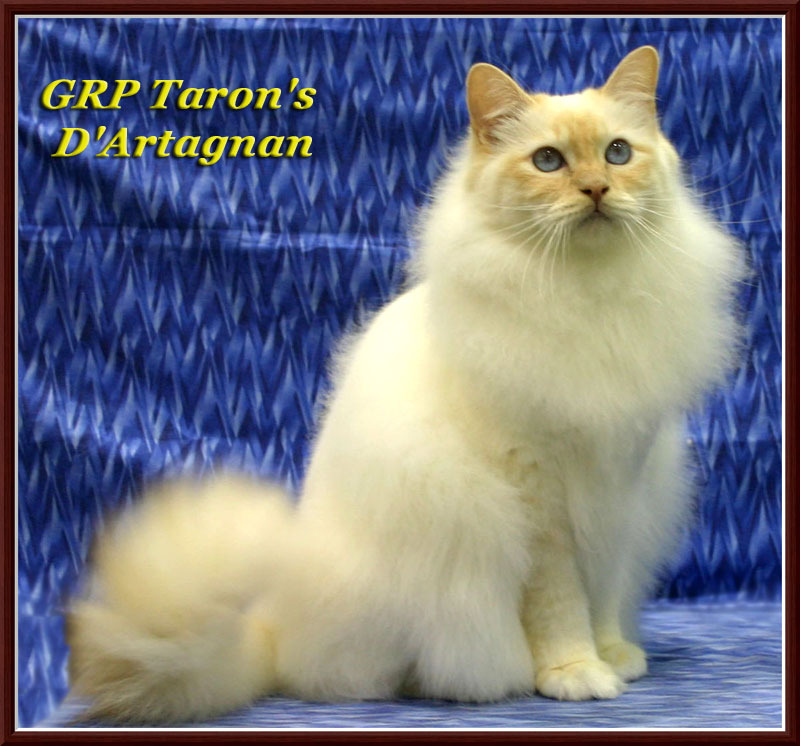 Taron Birmans is still an active cattery but we are not attending Cat shows at this time. This is a decision we made due to finances and is subject to the same as time goes on. We are very proud of all of our Birmans. 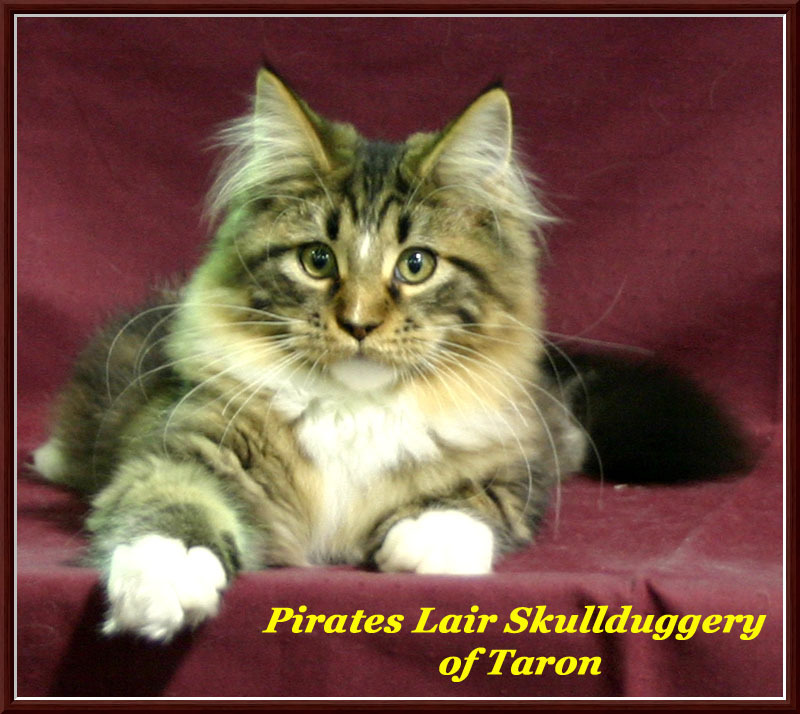 We are willing to work with other breeders and will trade cats instead of forcing you to buy outright. As always talk to Nora about your plans or needs! We have no cats at this time available for adoption please contact us at Birman@bellsouth.net if you are looking for a young adult or retired Birman. Due to finances we will not be at any shows in the near future, good luck to everyone who is still able to attend. See How some of our Pampered Pets are doing now, and More Kitten Pictures. If you have one of our Birmans Send us Pictures! A Birman is the lazy man’s longhair as they require very little maintenance. A typical Birman should be aggressively friendly, seeking out human attention (and a real pest about it too sometimes). They are great companions, and their silky hair does not require regular brushing (which they love) as their coat does not mat! The ideal Birman is a large, long stocky cat. The color of the coat is light, preferably with a golden cast, as if misted with gold. The "points" - face, legs and tail - are darker, similar to the Siamese or Himalayan color patterns of Seal, Blue, Chocolate and Lilac point, along with Lynx points and the Red Factor (Tortie, Reds and Creams). The almost round eyes are blue, set in a strong face with heavy jaws, full chin and Roman nose (bends down in the middle often has a bump to it at that point) with nostrils set low. The very distinctive white feet are ideally symmetrical. The gloves on the front feet, if perfect, go across in an even line, and on the back feet end in a point up the back of the leg, called laces. It is difficult to breed a cat with perfect white gloves and Laces. Click here for a chart of the Birman feet. For more information on the breed see the Birman FAQ - Frequently asked questions page, and our Photograph pages. 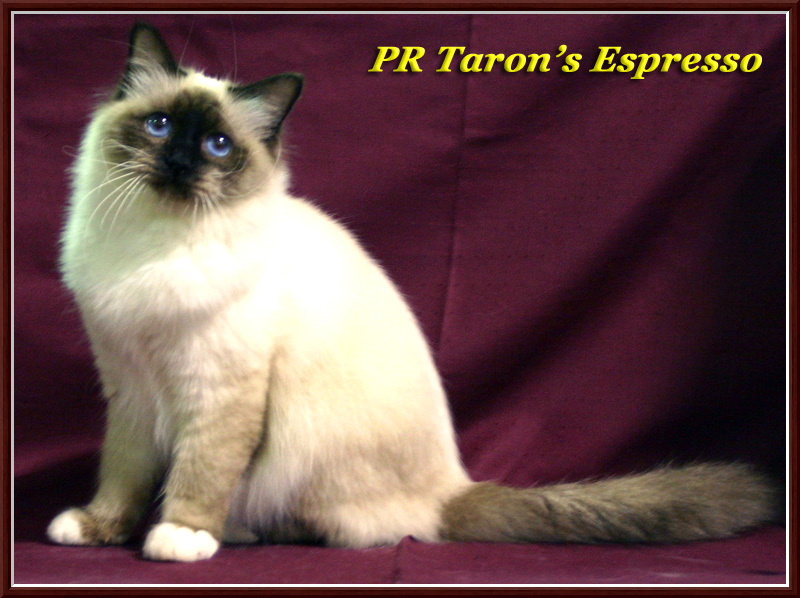 We also feature a History and Birman legend page. I have added a color chart to map possible Color Combinations resulting from breeding two Birmans together The Birman Archive Project shows history and list of winning Birmans with their pictures. Currently we have No Cats or kittens available at this time. Kitten pictures can be found here. We sell Show (Contract requires cat to be shown 10 times as an adult in CFA Shows), Breeder, or Pet quality with a Health Guarantee. 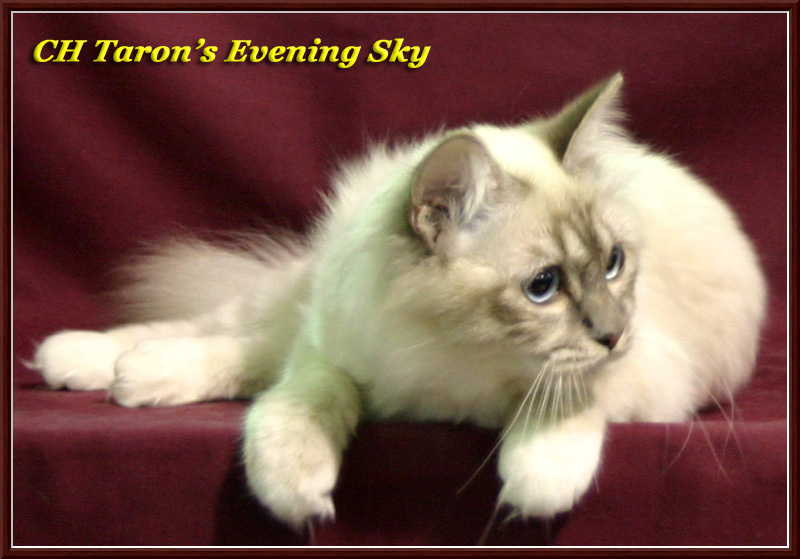 We are willing (as always) to discuss a trade with other Birman breeders. We will NOT sell kittens younger than 4 months old. Nora and I have been evaluating our policy on shipping, we will no longer be shipping kittens unescorted due to frequent airline delays and poor pet handling. Photography on this page is the exclusive copyright of: Chanan or Taron Birmans please do not use them on your web site without express permission.